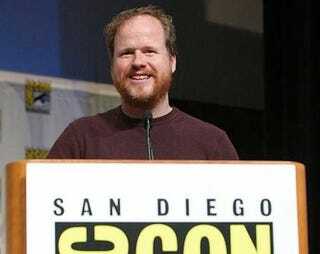 Rumor has it Morgan Spurlock and geek overlord Joss Whedon may teaming up for a project documenting fan culture at San Diego Comic Con. And they're looking for three subjects to follow around. Any takers? After making a bunch of fanboy jokes, E! is reporting that Whedon and Spurlock are currently looking for the ultimate geeks to profile in a possible Comic Con documentary. "They want to follow people for about three months leading up to this year's Comic-Con," the source said. "And then they want to film them there. They're looking at all types of people." Honestly, there isn't a better person to put together this feature than Whedon. If you've watched extra material on the Serenity DVD, then you've seen his and his casts' Serenity Comic Con experience. It's enough to make even the hardest critic tear up. Plus we've seen this man walk the floor at conventions, it's surreal. He knows what the word "fanbase" means, and knows how to represent the entire experience accurately, inside and out. Plus Spurlock, was all over the Con last year looking for a Simpsons super fan for another project relating to the series anniversary.